No one is denying that most AMG's are sick cars. What's not to love? A big, solid Mercedes with an absolute monster of an engine shoved under the hood is a great thing, something to wake up in the morning and be thankful for in today's market filled with fuel-sipping hybrid garbage. 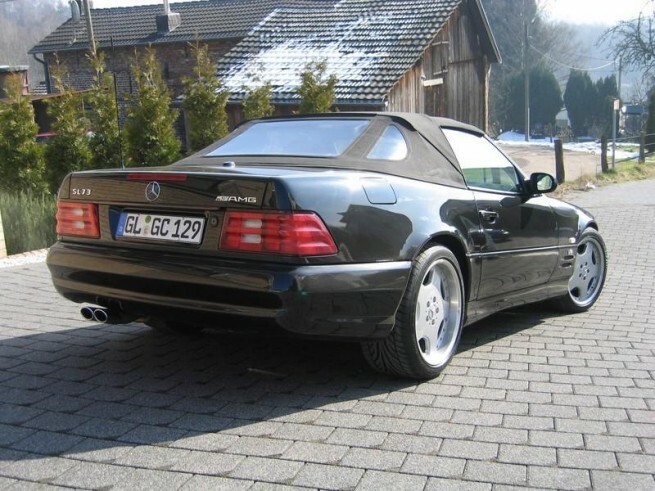 But frankly, seeing an AMG Mercedes isn't quite as exciting as, say... a Ferrari F355. Or a 911 GT2. Or a Gallardo. They're common, even in boring areas like Raleigh. Heck, there's a guy that rolls up to my Starbucks every day in an SL55 AMG. And another lady with a CLK63 AMG Cabriolet. But while I was filling up the Accord today, a truly uncommon AMG pulled in next to me, and I did a double take: A freakin' R63 AMG 4Matic. A WHAT? 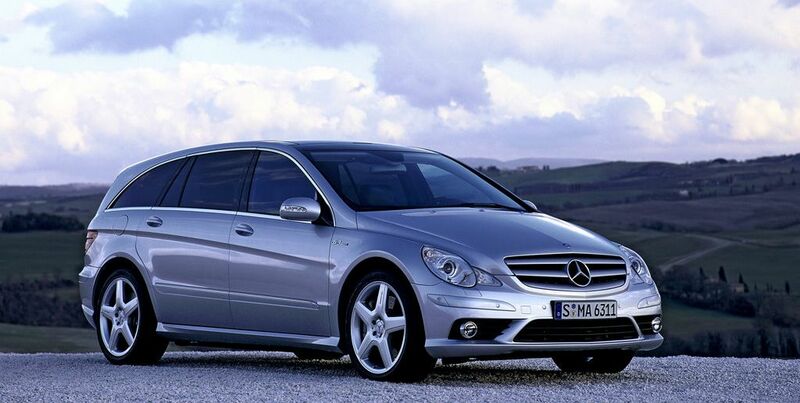 That's the AMG version of Merc's failed "Mercinivan". 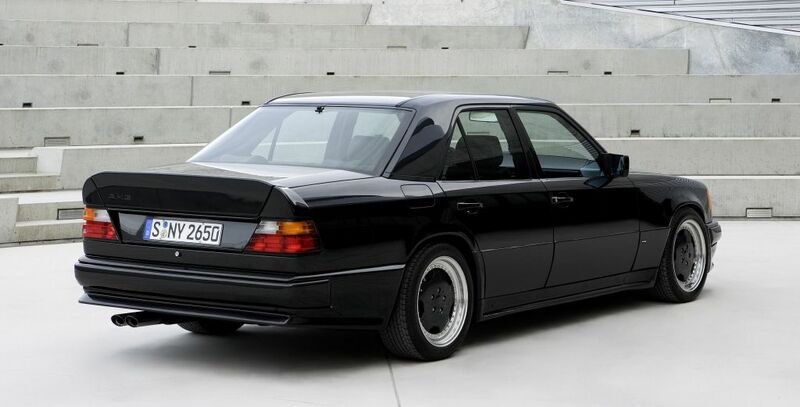 Take one 7-passenger people hauler, then stuff it with a hand-built 500 horsepower AMG 6.2L 32v V8, add permanent 4Matic 4WD, and you have perhaps the fastest, classiest way to get the kids to soccer practice ever. I personally have never seen one before today, and if I hadn't seen the quad exhaust tips I might not have noticed. Why so rare? Well, the R63 was only ever built to order. That means you couldn't just roll up to the Mercedes dealership and hand over $90k for a Mercedes rocket-van. No, some nut-job actually custom-ordered one and waited months. Sweet. 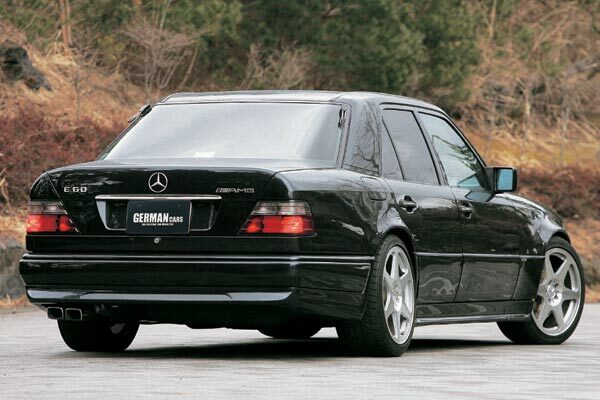 Which got me thinking about all the especially rare AMG Benz's, stuff you don't see every day like a C32 or an E55. After a little research, I realized the crazy R63 is merely the tip of the iceberg for rare AMG's. Not many remember now, but AMG started out life as an independent tuning house that specialized in making seriously powerful Mercedes Benz's, not just a subsidiary of the company itself. It really got noticed by Mercedes with it's version of the W124 E-class, affectionately nicknamed the Hammer. If the nickname didn't give it away, the video should let you know: it's a bad mother%(@#$! The DTM also got a pile of other performance goodies. Most obvious is the DTM-inspired wide body kit, with most of the new body panels rendered in lightweight carbon-fibre. Staggered (19"/20") lightweight AMG racing alloys were wrapped in huge Dunlop DOT slicks (285's in the rear!) and covered huge carbon-composite brakes: six pistons front, four pistons rear. There was also a plate-type LSD in the back to put the power down. Inside, the DTM had carbon-shell sports seats with Alcantara and leather trip up front, and it retained rear seats unlike the later CLK63 Black Series. All this for only €277,000 and change! 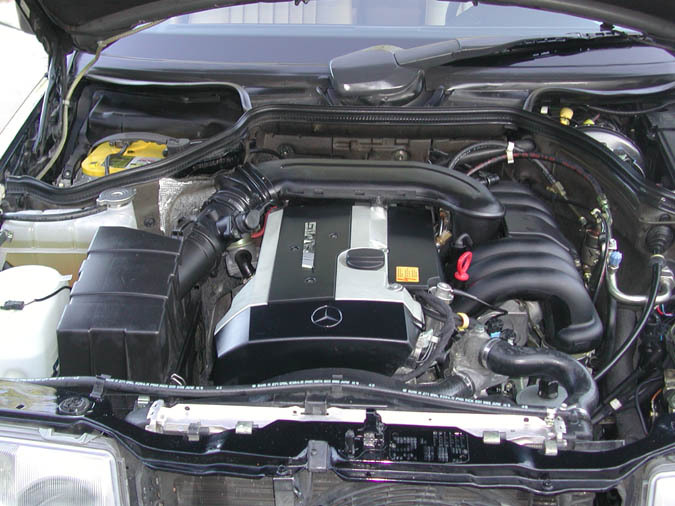 The CLK63 AMG replaced the CLK55 when the new 6.2L 32v V8 was released, and the CLK63 Black Series AMG was the ultimate development of the model. 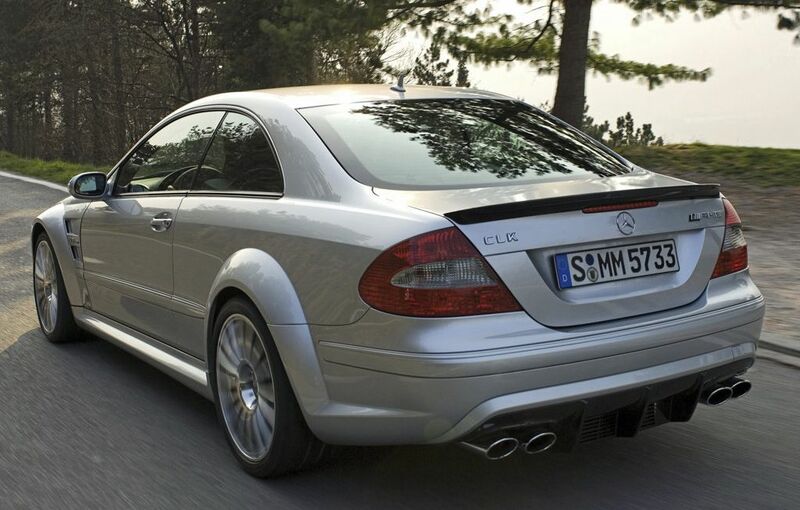 It was a considerably more focused performance car than the normal CLK63, with more power, less weight, and simpler mechanics making it a friendlier track tool. 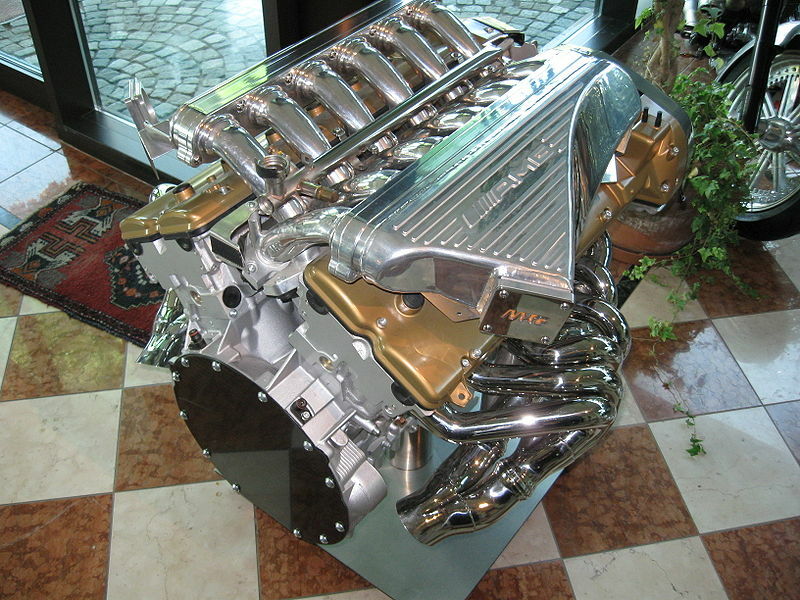 The V8 was bumped up to 500 horsepower through new intake and exhaust systems along with a re-tune, and the final drive ratio was 6% shorter for harder acceleration. Most interesting was the totally revised suspension, which was adjustable for ride height, compression and rebound on the dampers, and toe and camber settings. The CLK Black ditched the rear seats of the normal model for an upholstered "parcel shelf" to save weight, and it will go down in history as one of Clarkson's favorite cars ever. 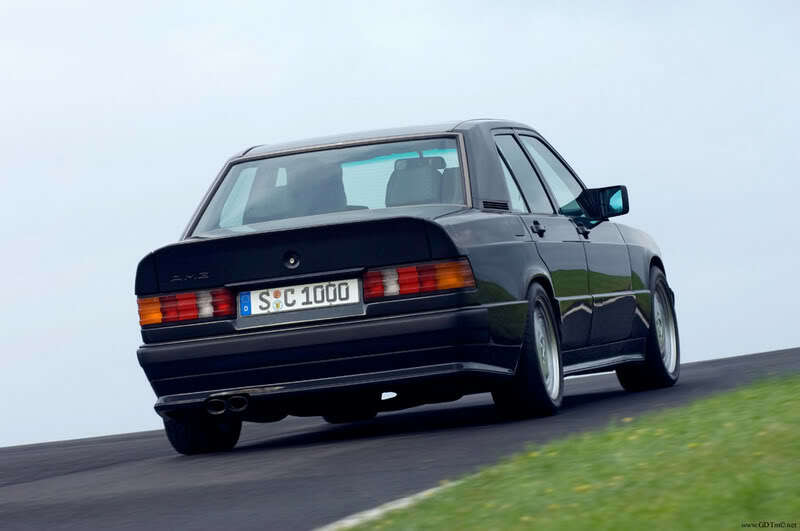 The Black also had other upgrades to make it a more reliable performance car, like a larger radiator, rear differential cooler, and an additional transmission cooler. Which leads us to our last entry, which also happens to be the most powerful road car Mercedes has ever made. 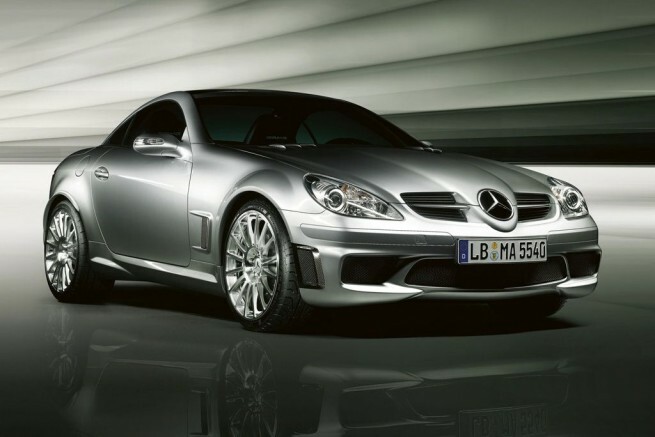 The SL65 Black Series is more well known than a lot of the other AMG's in this article, and perhaps because of it's eye-widening numbers: 661 horsepower, and torque output electronically limited to 738 lb-ft, instead of the full 885lb-ft, to protect the transmission. As if the regular twin-turbocharged V12 SL65 with it's 612bhp wasn't insane enough, AMG upgraded the turbochargers, intercoolers, and exhaust for the gain, meaning there is likely a lot more potential left in this engine for those crazy enough to mess with it. Like the SLK55 Black, the SL65 Black ditches the heavy power-retracting hard top (which is what makes the SL so desirable to me, but never mind) in favor of a carbon-fibre fixed roof. It gets the crazy wide-body treatment as well, rendered in carbon-fibre of course. The adaptive shocks have been ditched for adjustable coilovers with progressive springs, and the track width of the Black is considerably wider for better cornering stability. Skip ahead to about 1:43 for the good stuff in that video, including a wreckless little powerslide on a residential street. Of course, if you can afford a Merc with a MSRP of $299,000, you can probably afford a wreckless driving ticket too. Did I miss your favorite rare AMG? Got a favorite of these? Leave us a comment in the box below!